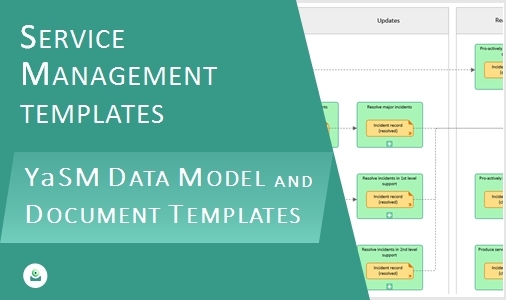 The service management processes create and use a number of documents and records ('data objects'), such as service definitions, the service portfolio, customer service agreements, and incident records. 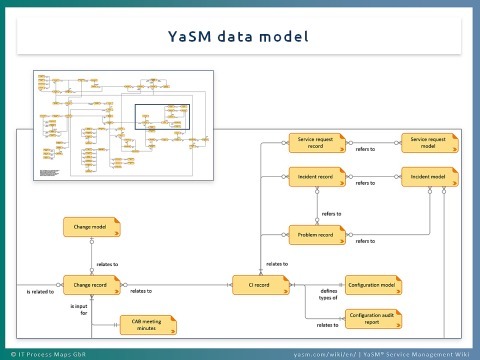 The YaSM data model highlights the key relationships between these data objects. The service management process model (the YaSM® Process Map) includes the YaSM data object model. That diagram is not a complete data model as known from software engineering. Rather, it is meant to provide an overview of the key relationships between the YaSM terms and to facilitate an understanding of each object's relevance within the YaSM framework. The figure (see enlarged view) on this page shows a small part of the data model. 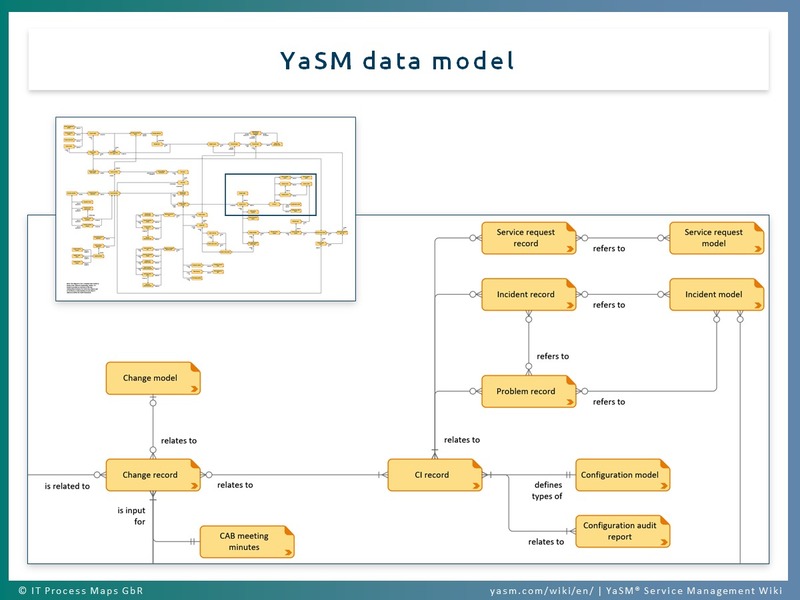 You can also download the full YaSM data object model in PDF format - the diagram is very large but it contains vector graphics so you can zoom in on the details. Is based on: Data object model from the YaSM Process Map. This page was last edited on 28 March 2019, at 19:40.